Child marriage harms girls’ health and development throughout the world. 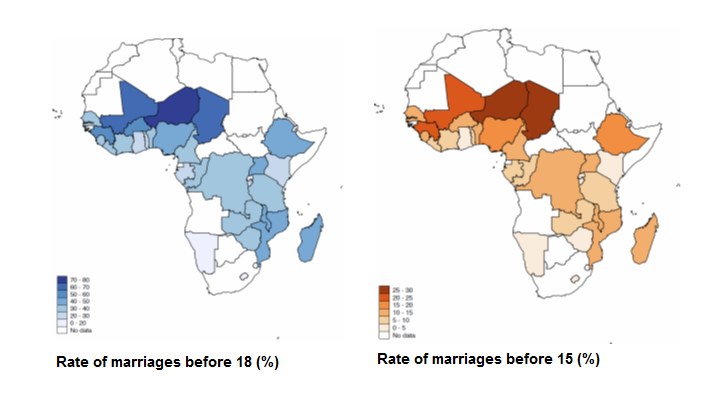 Although child marriage has become less common in sub-Saharan Africa, more than one third of girls continue to marry before reaching their 18th birthday in over half of the 31 countries examined in a new study from McGill University published in Population and Development Review. Older girls between the ages of 15 and 17 are delaying marriage until later in their lives. However, girls below the age of 15 are just as likely to be married now as they were 20 years ago in many countries. In Chad, Mali, Niger and Guinea, more than 20% of women were married before the age of 15. “All of these countries have pledged to eliminate child marriage by 2030 as part of the United Nations Sustainable Development Goals. We have a lot of work to do to meet that target", says Koski.